My sons route cross country - on his bike for charity, if you haven't been paying attention - is heading south through Colorado, headed towards Colorado Springs. They can turn east anytime now. I spend a lot of time looking at videos. I used to work in the film industry, and love well made short films about the outdoors. I am amazed by the number of excellent short films about whitewater paddling. I am equally distressed about the low number of sea kayaking videos. Viewers definitely like the high energy feel of whitewater, but it is interesting to me that the large growth of the sport is in recreational kayaking. Whitewater growth is pretty flat. I expect we will soon see growth in Stand up paddle board videos that include whitewater and girls in bikinis. I also spend a lot of time - as I have mentioned - watching people paddle. The vast majority still paddle incorrectly, which is no great shock, I didn't expect a change. But I started formulating a list in my head of the things that I see that indicate a person is paddling with their arms. This will be a post in the future - or I may slide it into the book if it ever gets back from the proofreader.There is a meditation lesson that is also going to be slid into the book. I had an invitation to join a group paddling in Maine in September. I just found out I have to teach wilderness medicine course at the same time. Which means I need to head to the Outerbanks. I may go solo, but I think there may be someone who wants to go on the next expedition. hmmm. This October will mark the third annual Paddling Otaku Expedition Skills Camp. Leave a slot open on your calendar. My sprayskirt is leaking. Seriously leaking. Its seams are coming untaped. It is a very old Immersion Research that was a permanent loan from a friend. Do you think IR will repair it? I discovered my sprayskirt was leaking while working on the balance brace. The balance brace is very hard to do in my kayak. I started working on the balance brace because I started watching 'This is the Roll'. It is really quite good. A full review is coming, but can I just say that it is 2 hours plus. A lot of material. Beautifully put together. The charts for the next expedition have arrived. They will go up on the wall this weekend. I have always loved Patagonia. I don't mean the region in South America, but the company. 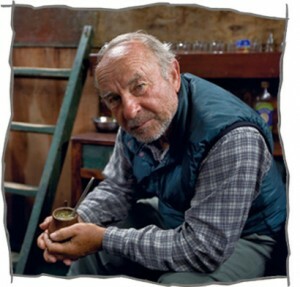 If I had to list people that have influenced me, that list would have to include Yvon Chouinard. Yvon Chouinard is a climber, kayaker, fly fisherman and surfer. The man changed the way we climb, and then changed the way we protect ourselves when we climb. That was his first step towards making the world a better place, but he didn't stop there. He didn't like the damage that his pitons did to rock, so he made a way for us to do it cleanly. He founded Patagonia clothing and then changed that industry as well. Before Patagonia started demanding it, it wasn't possible to get organic cotton for clothing. He made it possible because he demanded it. I like to think that a lot of the amazing things that people accomplish, is done so because they simply don't know better. A lot of educated people would say that it doesn't make financial sense to pay for expensive organic cotton when you can get amazing - though non-organic - inexpensively. They may also say that it doesn't make sense to locally source something when it is less expensive to get it sourced around the world and have it shipped. They might also say why would you want to power your distribution center from the sun, and recycle everything - so you have zero waste - at your facility. All of these things were done by Yvon Chouinard because I think he didn't know better, but he did know it was right. He knew that Organic cotton was better for the environment and the people wearing it. He knew that shipping product from China to the US even though it was less expensive was intolerable because of the waste created by the aircraft and ships that transported the product cheaply. Most importantly he knew that it was his responsibility to have Patagonia have the smallest impact it could on the environment. These are three things the he and Patagonia made happen, but lets not forget the common threads program, and 1% for the planet, and surfboards that don't break, and fleece made from soda bottles (okay that was malden mills, but at patagonia's urging). The list goes on and on. But things are changing at Patagonia. For me it started like this. In 1995 I started buying Lotus designs pfd's. I owned several. In 1999 Patagonia purchased Lotus. I felt that this was a good move, as Yvon was dedicated paddler, they would drive the company to bigger and better things. I have owned - and loved - many pieces of lotus gear - Patagonia actually moved its paddle sports apparel to the Lotus name instead of the other way around. - Rash guards, and paddling pants. The best Sea Kayaking Skanorak I have ever owned has the Lotus Flower on it. But then in 2007 Patagonia got out of the paddle sports business. Many blamed it on the small market space, many on the fact that Phil Curry - the founder of Lotus - was no longer under a no compete clause and formed Astral Buoyancy, and was now competing directly with his own company. But I think Yvon was no longer interested in paddling. This past weekend I was home in NY, and took a walk to what was my local Patagonia store in Soho. I saw a lot of clothing. A lot of non technical clothing for people who want to look like they do things in the outdoors, but don't actually do things in the outdoors. It made me sad that the Patagonia that I knew and loved wasn't there anymore. It was like being in a relationship where your partner grows apart form you. You still love her, but she isn't the same. Patagonia still does amazing things for the environment. I think this is where they excel. I suspect Yvon is spending less time in the board room, guiding his company, and more time on the long board. I don't blame him. But I do miss my old Patagonia. As an aside, I love the region of Patagonia as well, and hope to paddle there someday. If I do I think after the trip I will stay here. As I am starting the planning, once again, I find myself in need of Charts. The timing was good because I also found myself at my former home in lower Manhattan. 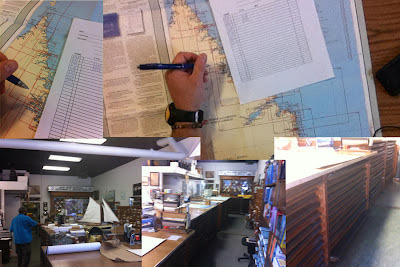 Home to the most amazing chart store in the world. In the US the NOAA and the USGS make charts and maps available for free. Where this next adventure takes me there isn't that luxury. I ventured to NY Nautical because I hoped they would have what I needed, and if they didn't it was at least tradition that my expeditions begin there. I walked in the door shortly after they opened on a quiet Friday morning. They were very helpful, as always and offered up a large chart table with a catalog of the location I would be heading to. Smitty - the guy who runs the place - folded the catalog, which is itself a large map with squares denoting specific charts that could be ordered. But when I saw where he was looking on the folded catalog I said, "I need to be further north than that." Smitty replied "I don't think they go further north than that?" We looked on the other side and sure enough there were a handful of charts for my chosen location. He left me with a pencil and a form so he could order the charts I selected. NY Nautical is the kind of place that - I think - could really only exist in New York. While it offers many nautical navigation and time pieces, only a handful of GPS, it is really about paper charts. Stored in Drawers under the massive tables they have on hand most of the charts someone would need for the east coast of the United States. They can order anything else. Sailing your boat to the keys, they have the charts. Piloting a cargo ship to Africa? They have the charts. Kayaking the Inside Passage? They have the charts. Unfortunately, this time they didn't have the charts. But I ordered them, and they will be sent to my home. It felt a little anti-climactic to not be walking out with charts in my hand, but soon enough they will be on my wall. Upon completion of this little chore I headed back towards my old neighborhood in the west village. I found place to get a cup of coffee, and I surfed the web on my iPad. I then loaded up Google Earth once more to 'fly' over the location. A thousand years ago - give or take - I taught a nephew that every adventure starts with a map. This one would be no different. Do you have a guess as to where I will be paddling next? Head over to my Facebook page to make a guess. Congratulations goes out to Geckopaddler and OceanPax for making this awesome top ten list! Well done! Links to both blogs can be found in my sidebar! 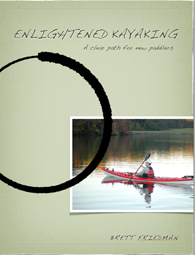 "I need advice on a first kayak, I have $400 to spend on boat, paddle and PFD. I will be mostly on lakes and the occasional slow moving river. What do you suggest?" "What do you guys think of this $250 kayak at (insert name here) sporting goods, it's a great deal and I really want to start kayaking"
In the past I have taken heat for deriding the recreational kayakers in the world, and I mean no disrespect to them. I feel that they are literally paying the bills - as they are the fastest growing segment of kayaking - for the touring kayaks that far fewer people paddle. But I thought I would point out a few of the basics to new paddlers who are thinking about their first boat. I have to stress this is my opinion, and I am sure others would have other comments to place here, and I welcome that. My first questions for new paddlers are these: Where are you going to paddle, and what do you see your self doing in a kayak in two years? 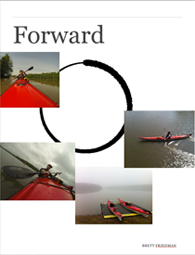 If you are going to be paddling on slow moving rivers then I would recommend a different kayak than if you are going to primarily be on lakes or other flat water. 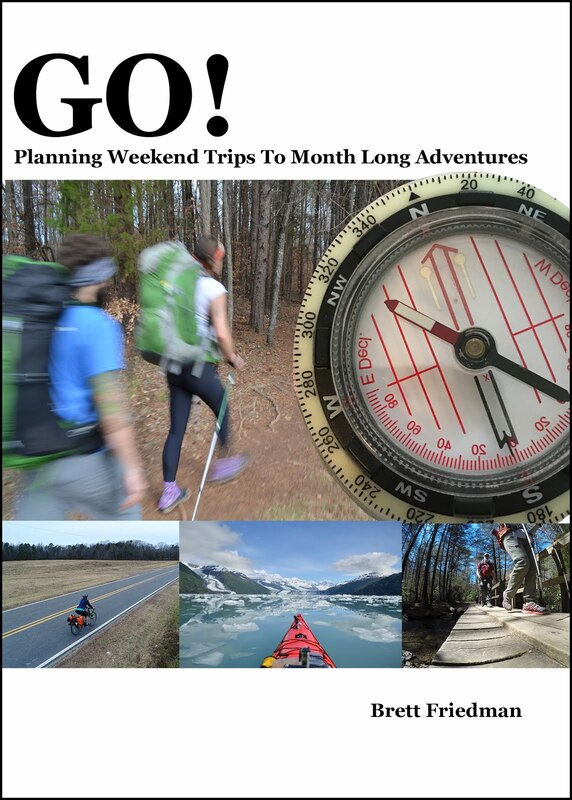 If your goal is to eventually camp out of a kayak or do simple touring with the occasional overnight That would steer me towards different Kayaks as well. So if you answered the first question by saying I will use this kayak mostly on slow moving rivers, I would point you towards a shorter kayak, as it will turn quicker and be more stable which suits a river. And for clarity, when I say short, I am suggesting Below 12 feet in length, maybe even as short as 10 feet long. If you said maybe the occasional river, but really I want to use it mostly on a lake, then I would suggest a kayak 12 feet or longer. I think 10 and 12 foot long kayaks are a nice sweet spot in the middle for the first time kayak buyer, as they turn fairly well, and track decently. They are also pretty universally stable. If you are going to be on a river I would recommend a kayak with at least one bulkhead (or flotation) so if the kayak fills with water at least part of it will remain above the surface, making the boat much easier to deal with. If at any point you think you want to kayak camp, or do day touring with the occasional overnight trip, I would start looking at kayaks in the 14 foot range. Boats at 14 feet can hold enough gear for shorter trips, and offer a glimpse of the performance found in longer touring kayaks. I am not a fan of most kayaks below 10 feet in length. I don't think they are a fair representation of what kayaking is really like, But starting at around 10 feet you can get a really lovely recreational kayak. If you have $400 for Kayak, PFD and Paddle, my advice is to keep saving money. You are going to end up with something like this with a heavy paddle and an uncomfortable PFD. Saying you want to start kayaking and ending up with a kayak like that - to me, and this is where I start getting in trouble! - is like saying you want a sports car and you buy a Toyota Yaris. I love my Yaris, but it's not a sports car. My final piece of advice is to paddle. Paddle everything from little sit on top kayaks to long touring kayaks. Paddle kayaks you know you could never afford to buy. Go to paddle demo days, rent kayaks. Borrow Kayaks. Talk to people who own kayaks about what they paddle - trust me, we love talking about our kayaks! - and then maybe they will let you paddle their kayak. Most people that own one kayak, own more than one. Go kayaking with them. You have to get your bottom into a seat to see what kayaks feel like. A very long time ago when I was shopping for my first kayak I lived in Lower Manhattan. My one flight up, tiny apartment in the West Village wouldn't accommodate a kayak. So I bought a paddle and PFD, and I rented kayaks on Long Island. I developed a relationship with a couple of places that rented kayaks and I paddled everything in their inventory. I knew I wanted to do kayak touring which limited my options somewhat, but I got experience paddling a lot of different kayaks. Over the course of a couple of years I developed the vocabulary to describe the different kayaks I paddled. Then when it was time for me to actually buy something I knew what I was looking for, and it didn't take me long to find it. At the end of my review of the iPad 3 I talked about how the editors of Backpacker Magazine claimed that you should leave charts, compass and GPS at home and just bring your tablet. I railed against this for various reasons - I'll let you reread the post if you wish, so I don't have to rehash it. But this past weekend I had an experience I feel is worth reporting. As we were unloading kayaks at the put in, a friend mentioned that it would be sunny all day. I said something to the effect of, 'you're kidding right? We are surrounded by bands of rain from a tropical storm!' He responded that the storm had already hit Florida and had broken up. I reached into my car and pulled out my iPhone. I opened an app called MyRadar and showed my friend satellite imagery of where we were paddling. It looked clear. I zoomed out slightly to reveal that we were in fact surrounded by broken bands of heavy rain. The imagery we were looking at was less than ten minutes old. I put my phone in a waterproof pelican case, and put it in a dry bag. The dry bag found its way into the cockpit of my kayak. I thought about this as I paddled. I recalled that there was a spot on the inside passage where we couldn't get a weather report on the VHF. We were surrounded by tall rocky cliffs on three sides and all I could get was static. On a whim, I opened a dry bag and retrieved my iPhone. I turned it on, and surprisingly I had enough signal strength to send a text message - I couldn't get web or voice - to my wife 4000 miles away. She texted me the weather report for where we were located. As I continued to paddle I thought about how much I have relied on VHF and weather radios. I used to plug a weather radio into my car stereo on the way to paddle so I could listen to the weather report. Now I bring up satellite data. I find myself wishing for near live satellite data on expeditions! But at the same time part of me prefers the old fashioned way. I won't be giving up my compass anytime soon, that is for sure. My watch has a digital compass and I have used it all of one time. That time was in lower Manhattan after getting out of the subway and not knowing which way I was facing. However on the same watch there is a barometer that I use every time I paddle for very localized weather information. So I guess I am picking and choosing my data. I stand by what I said in the previous post, the technology will have to be purpose built for the environment, but will we get to that point sooner than later? I am starting to think that it will be sooner. Are there apps you use on your phone for kayaking? The beautiful thing about doing expedition every couple of years is that you don't have as much mandatory gear to buy. Things like Kayaks and tents don't need to be replaced, so the expense of doing a big trip is a little easier to bear. The other beautiful thing is that you really get to see the gear that works for you and the gear that doesn't work for you. You develop systems for just about everything you do. Because Sarah and I (Sarah was my co-paddler on the Inside Passage/Paddle North trip) both came from a background at The National Outdoor Leadership School (NOLS) our systems for the way we did things very quickly aligned. It made for an almost seamless expedition. There were only a few pieces of gear that I wasn't happy with the way they worked. One was my trusted Suunto Orca deck compass. My kayak has a recess for a permanently mounted deck compass which I chose to ignore, I have always used the suunto Orca which connects with bungies. It has always been fine as I would have strapped close to my cockpit. On the Inside trip I had a deck bag there, and so it wouldn't sit flat. I put it in the compass recess and it wouldn't sit flat which made it very hard to read. I will replace it with a permanently mounted Brunton deck compass. I love my Astral 300r. But it is very thick across the midsection. Frankly, it makes me look like a barrel. I think I am going to go with a new Astral Green jacket all the features - sans the hand warmer pocket, which is a ver nice feature! - and the Hydration system, which is too small in the 300r and a pain to fill. A couple of items that will be joining us on the next expedition will be a Sat phone - rented, not purchased. A flare gun, and this handy little item. We will be going someplace a little different this time.. I am really torn with my stove. I will probably not change anything, my MSR Whisperlite is a die hard, and worked flawlessly this past summer in Alaska - as it always does. But I am really tempted by the Whisperlite Universal . Having the ability to use canister fuels from time to time would be really nice. Last time I used my Jetboil while driving to Alaska - because I ate freeze dried food on the road - But then I left it in my car. there were a couple of times when it would have been really nice to have it on the trip to make coffee. The jet boil is the only stove I have ever seen that you can hold in your hand in the cockpit of our kayak and make hot coffee or water. I don't think it is a recommended method but I have done it on a few occasions. It will be going in the boat this next time. I like my Kelty Noahs tarp, but hate the diamond shape. I wish there was a Noahs Tarp made in the shape of a NOLS Thelma Fly. Particularly since I am hoping there are more people on this next expedition. Unfortunately my throw rope was a victim of the encounter with the bear. It held the boats tied to a tree a few feet back into the forest where the bear retreated too. I decided not to go after it and just cut the rope, and then retreated off the beach into the water. So I need a new throw bag. I am thinking about this Salamander, but feel kind of non-plussed about it. Does anyone have a recommendation for a throw bag they love?